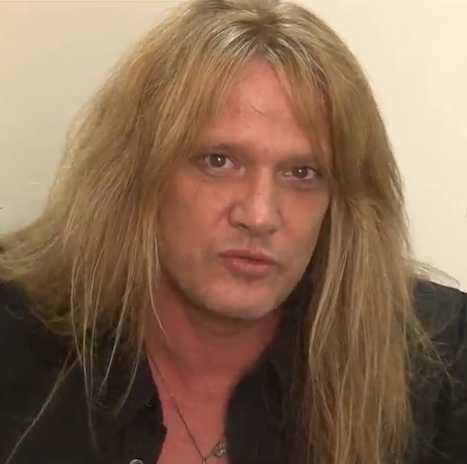 Former SKID ROW singer Sebastian Bach is hard at work in the studio under the direction of producer Bob Marlette (ROB ZOMBIE, BLACK SABBATH, SHINEDOWN) recording the follow-up to the acclaimed “Kicking & Screaming” album. 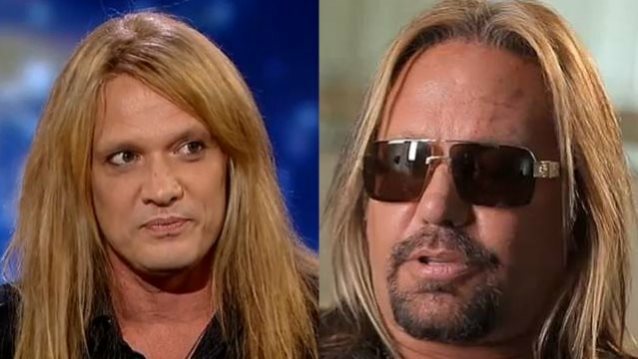 The new effort will tentatively be released in the spring of 2014 via Frontiers Records. Sebastian managed to involve in the writing and recording some very special friends and guest stars, including none other than Duff McKagan (VELVET REVOLVER, GUNS N’ ROSES), and not one but two top-class guitar players: John 5 (MARILYN MANSON, ROB ZOMBIE) and Steve Stevens (BILLY IDOL). Rounding out the lineup on the CD are Devin Bronson (AVRIL LAVIGNE, PINK) on guitar and Bobby Jarzombek (HALFORD, RIOT, FATES WARNING) on drums. 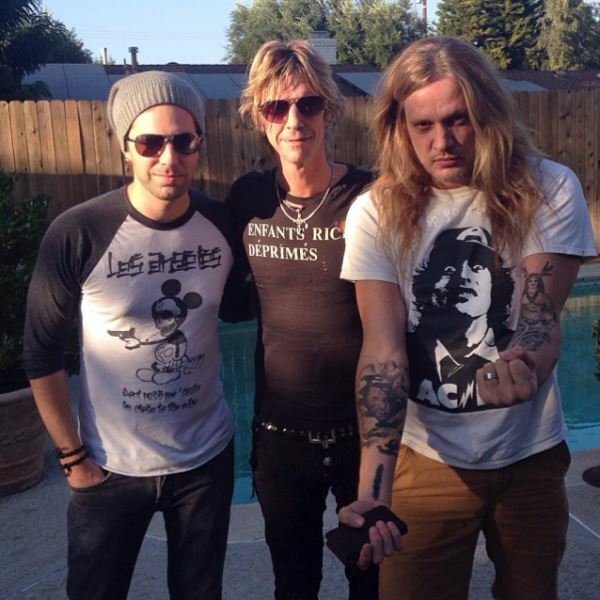 Duff and Sebastian previously collaborated on Duff’s solo album “Believe In Me”. Of his forthcoming CD, Bach says: “I am happy to say we have completed the drums and most of the bass guitar for the new record. “It is a pleasure to write songs with Duff, Steve, Bob and Devin. “The album will be mastered by Tom Baker, who has mastered my last three albums. “This CD will be balls-out, in-your-face, high-energy rock ‘n’ roll which just so happens to be my favorite style of music. A private plane carrying members of RATT and DOKKEN was forced to make an emergency landing in Illinois after an apparent fire broke out in the jet’s cockpit. The pilot and flight attendant were able to get the fire under control and landed the plane — which was carrying 13 passengers — in Moline/Quad City. RATT and DOKKEN are in the middle of a four-city tour with SEBASTIAN BACH and LITA FORD. The package is scheduled to perform tonight (Saturday, August 17) in Wauconda, Illinois followed by an August 18 date in Kalamazoo, Michigan. The musicians were reportedly taking ground transportation to Saturday’s concert and were expected to make it to the show in time.